Ideal cake topper for a pony or princess themed birthday cake! 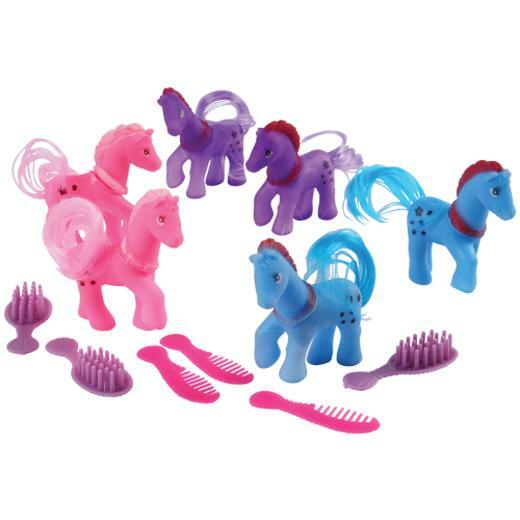 Your little guests can play hair stylist with their own pocket-sized pony! Ideal for goody bags or as pinata fillers, these horses comes with a tail mane and its very own comb for brushing. Kids will love grooming their new friend sized just right for their small hands. L: 7.0 in. W: 1.2 in. H: 7.4 in.